Posted on March 27, 2014 by Kelsey H.
I love traveling! It is something my family and I have always done, and we love to connect our reading to our trips. I am so thankful to my family for all of the amazing experiences that inspired me to write this blog. The first book series that I can recall reading is the Laura Ingalls book series. Just like so many little girls out there, once I read the first book in the series, I was hooked! 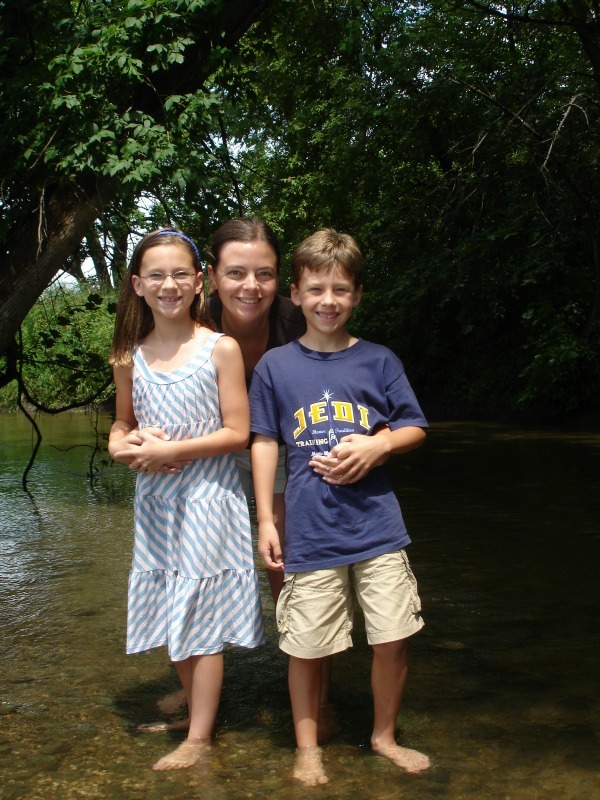 After I read Laura Ingalls Wilder’s On the Banks of Plum Creek, my family and I went on a summer trip to the actual Plum Creek that Laura Ingalls played in! While we were there in southern Minnesota, we also drove down to South Dakota to walk around the Ingalls’ homestead and dirt-covered sod house that Laura’s Pa built. To top it all off, we also attended a reenactment of the Ingalls’ lives with actors and actresses in the middle of a giant field! They were spectacular and a trip like that really made the book come to life! I have also read many books that take place in England because I love the classic style of Old English writing. Some of the books I have read include Rebecca by Daphne du Maurier; At the Mercy of the Queen by Anne Clinnard Barnhill; and Doomed Queen Anne by Carolyn Meyer. The novel At the Mercy of the Queen takes place in Hampton Court in England. I actually got the opportunity this past summer to visit and tour the grounds where Queen Anne Boleyn and King Henry VIII entertained guests! The rooms were so decorative and ornate, and the reenactments with professional Shakespearean actors were perfect! I definitely recommend taking a day to see Hampton Court if you are planning on travelling to England! Rebecca also takes place in England, but as this is a mystery novel, the stormy coasts of England is the setting. I love the descriptions in the novel of the “miserable” weather of England (though naturally as a Californian, I love it). I got to see part of the English coasts by train and ferry, and of course, both views were breathtaking! After my trip to England, I want to read even more novels set in the beautiful country, and I might even want to live in England someday! I have had the chance to go to some gorgeous places and stand where some of the most amazing characters and historical figures have stood. The next place on my list to visit is Prince Edward Island, the setting of my favorite book series of all time: Anne of Green Gables. I hope this blog has inspired you to explore the world with your favorite books in your suitcase! Please post a comment telling me places you’ve been or would like to go based on some of your favorite reads! This entry was posted in Essays and tagged carolyn meyer, daphne du maurier, historical fiction, laura ingalls wilder by Kelsey H.. Bookmark the permalink. That’s a really neat travel idea to connect trips to reading! 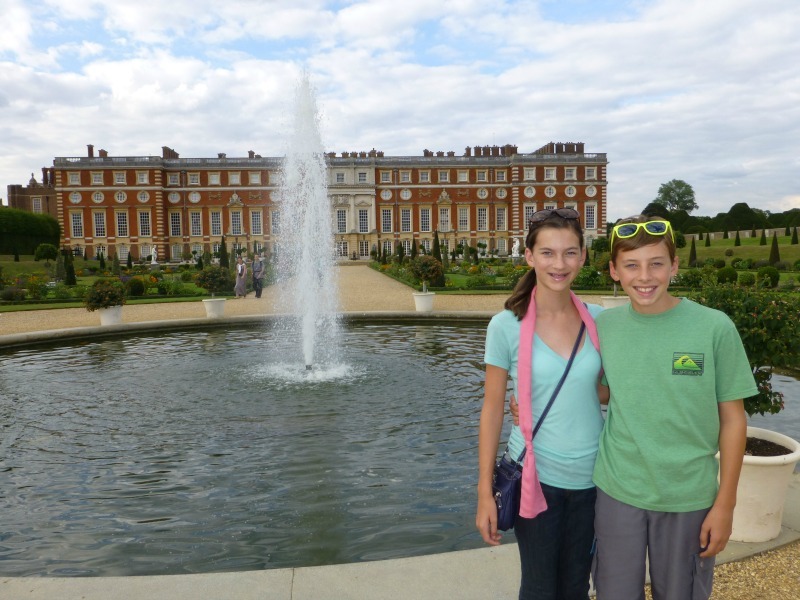 So lucky you got to visit all the key places in England like Hampton court! I, too, love books set in old England and the history of the Tudors and Anne Boleyn; it’s amazing that you actually got to experience and see all that.